Feel great in these elegant long leggings! 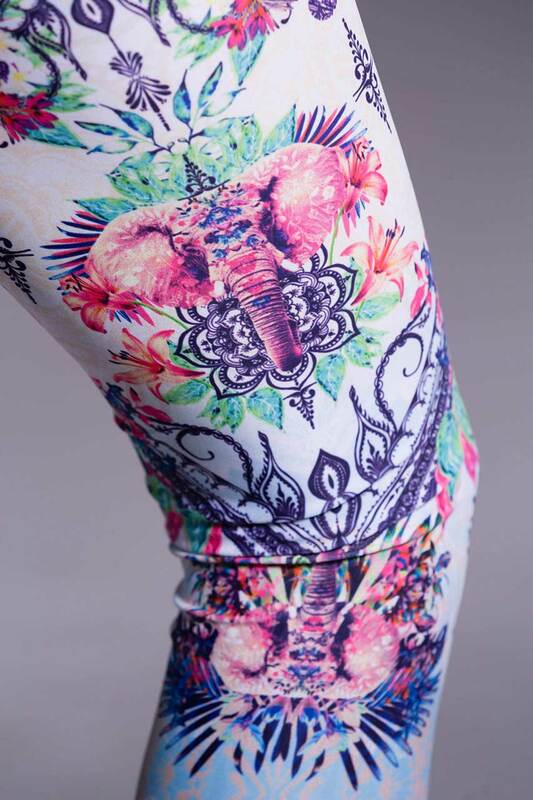 The Chiang Mai leggings from Onzie have an Eastern oriental flair, bringing an exotic look to your outfit. These long leggings are a prime example of what leggings are supposed to be – comfortable clothing that moves with you, making you look as great as you feel. Go the distance. Keep moving! Similar to the Capri Pant, these Long Leggings also have a low-rise waist band and are designed to be form-fitted and will stretch and move with your body. For our petite customers, these pants may have an extra inch or two of fabric at the ankles. In this case, we love to wear them either like yogis wrapped around the heel of the foot, rolled up, bunched, or whatever your petite style is!